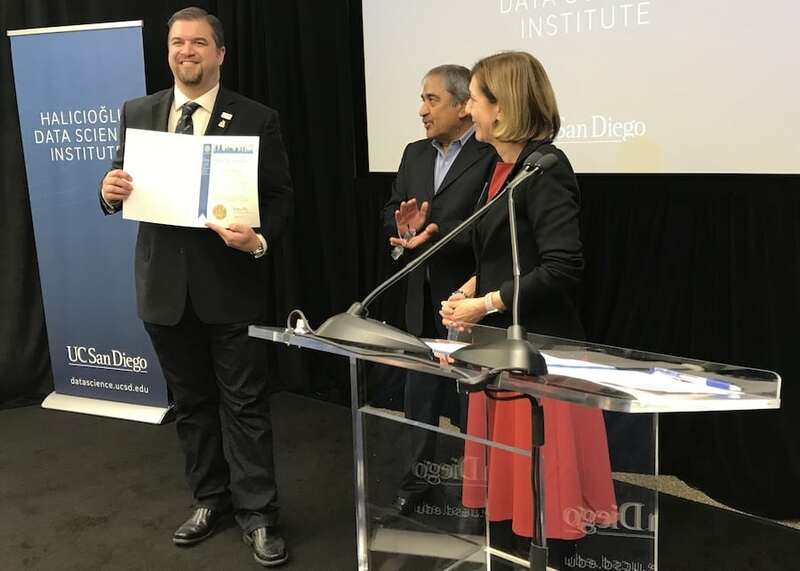 Amid intensifying global demand for workers who can extract insights from zettabytes of data, the University of California, San Diego held a dedication ceremony Friday for its new Halicioğlu Data Science Institute. The center, made possible by a $75 million gift from UC San Diego alumnus and early Facebook employee Taner Halicioğlu, is intended to encourage the development and use of new data science technologies in just about every field on campus—and beyond. According to UC San Diego, the donation—announced last year—was the largest ever received from one of its alumni. At the center’s unveiling Friday, UC San Diego Chancellor Pradeep Khosla said data science “is going to be the discipline of the future,” and predicted the new institute would “compel a physical, intellectual, and cultural transformation on this campus.” More than 100 faculty have said they want to incorporate data science in their work, Khosla added. “UC San Diego is making a major statement here that is going to carry a lot of weight about the importance of data science,” Lee said. Halicioğlu, who graduated in 1996 with an undergraduate degree in computer science engineering, urged administrators to incorporate data science as part of the university’s general curriculum requirements as a way to enhance critical thinking. In recent years, he has taught a seminar in computer science as a guest lecturer in the Jacobs School of Engineering. At the outset of the event, Khosla invited those gathered to practice pronouncing Halicioğlu’s name. “The ‘c’ is like a ‘g’ and the ‘g’ is silent,” Khosla said. “If you say it fast, you can slur it.” Khosla also joked that Halicioğlu has become a familiar figure around campus in his cargo shorts and T-shirts, and seems to live at the Round Table Pizza in the university’s student center. 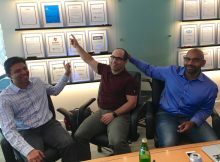 As a super angel investor who has backed more than 90 startups, mostly in San Diego, Halicioğlu said he often works with teams who don’t know how to apply machine learning or predictive analytics to data they collect. Over the past 20 years or so, Halicioğlu has worked chiefly as a computer operations and production engineer. According to UC San Diego, Halicioğlu joined Facebook in 2004 as the company’s first non-founder employee, when the social media company operated 15 computer servers and had about 250,000 users. When Halicioğlu left five years later, Facebook had 30,000 servers and 300 million users.